While many of you were enjoying a long weekend for Fall Break, the Faith Ministry Team enjoyed a long weekend of ministry opportunities. 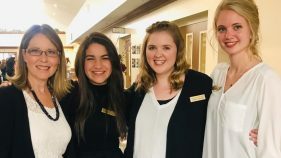 The Faith Ministry Team is comprised of 20 9th-12th graders who passed character evaluations and a musical audition this spring. Under the direction of Mr. Joe Wright, they put together a program they can share with churches, rescue missions, and any other Christian ministries they can be a blessing to. This year, the travelers included 19 high schoolers, Mr. & Mrs. Wright, Mr. & Mrs. Jones, Mr. & Mrs. Lambeth & myself on 2 mini-buses with a trailer. We headed north through Chicago on Friday, October 25th, and went to Shepherds Ministries in Union Grove, WI. We enjoyed getting a tour of the facilities and meeting the residents, many of whom have intellectual challenges. We got to see some of their culinary institute (they have a college to major in either culinary skills or horticulture) and workshop where the residents can learn job skills and learn to live independently. Our program consists primarily of singing, but also includes a choric speaking piece, a trombone solo, piano duet, testimonies, and this year we learned a hand bell piece. However, somehow the hand bells never managed to make it on the bus, so we had to adapt the program right from the get-go! 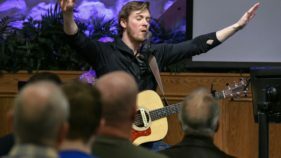 Friday evening we got caught in rush hour traffic headed back to the Chicago suburb of Aurora to sing at Wayside Christian Ministries, a homeless shelter. We are thankful to the folks at Aurora Christian School, who let us stay in their school building on Friday night. Saturday morning we awoke to one mini-bus that wouldn’t start. Technical difficulties continued later on with a broken axle on the trailer. 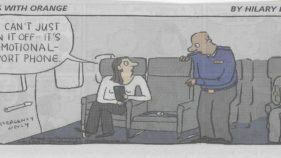 At that point we were very thankful that we DIDN’T have the hand bells as all of the luggage, keyboard, and equipment had to be transferred to the mini-buses. I am thankful for the good attitudes of the FMT members who took everything in stride and were happy to help out and be flexible without any negativity or bad attitudes. Saturday afternoon we were able to help out at Pacific Garden Mission in Chicago, the oldest, continuously-operated mission in the country. They are very thankful for their new (5 year old) building, where they had housed 900 people the night before. We were able to make beds and do dishes before singing for their chapel. 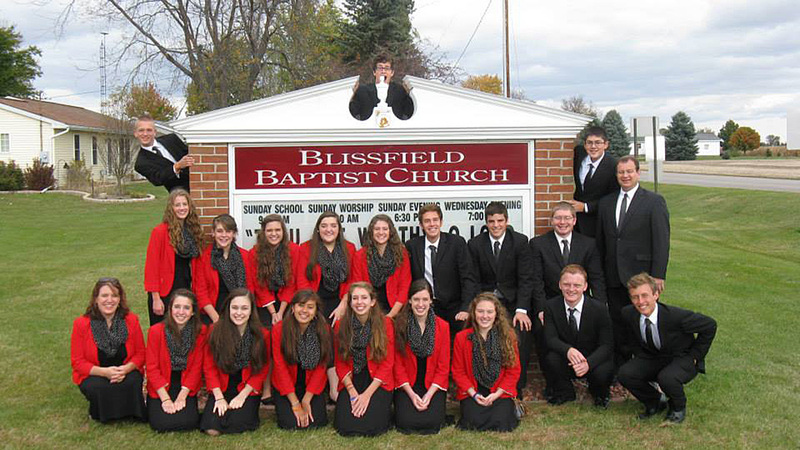 After we toured their facilities, we headed east to Blissfield, MI, just north of Toledo, OH. (Mrs. Rachel Jones’ home church is Blissfield Baptist Church.) The people in the church were very friendly and put up with all of us by splitting up and housing all of us in various church members’ homes for the next two nights. Sunday morning they gave us the majority of time in the morning service to share our program with them. 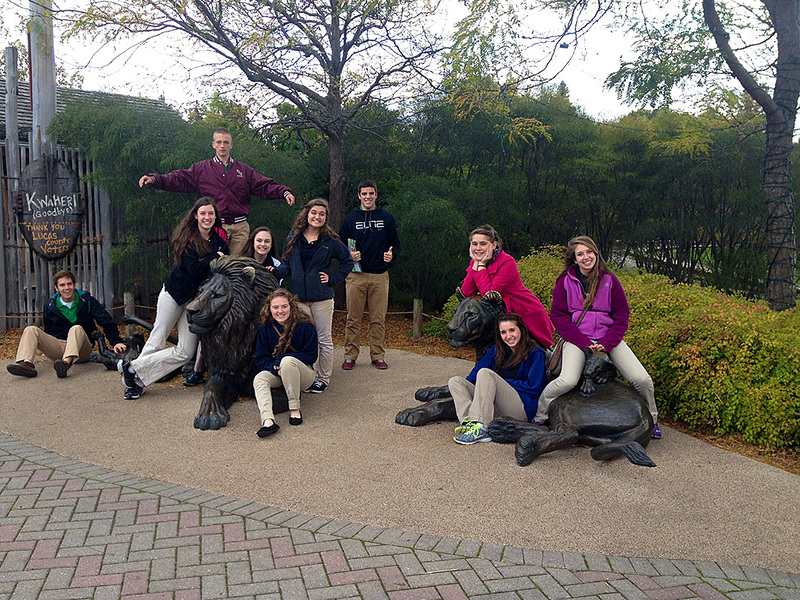 Sunday afternoon we were able to enjoy some “free time” at the Toledo Zoo! 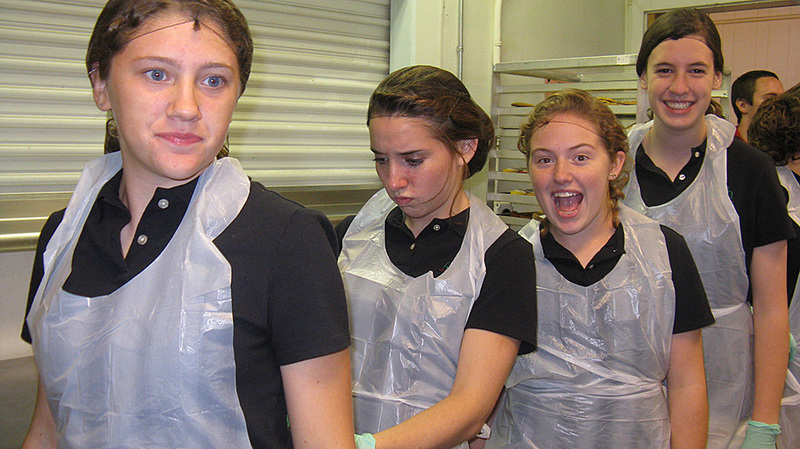 Sunday evening we went to the Cherry Street Mission, in downtown Toledo. This was more of a service opportunity, as we were able to actually serve a meal to homeless people right off the street. We donned hairnets, gloves, and aprons to serve these people, then we sang a few songs for them. Monday we had one final stop: Charis House in Fort Wayne. We sang to the women and children in this mission during their lunch time. The people were so gracious and even shared their lunch with us afterwards. We arrived home around 5:00 p.m. on Monday, October 28. The students really enjoyed the bonding time on the bus doing things like snacking, singing Disney songs, playing games (like Catch Phrase, euchre, or Apples to Apples), and getting to know each other. One of the things I appreciate the most about tour is being able to interact with other parts of the Body of Christ around the country. It’s a privilege to meet other people serving Christ and getting to know Him better in their own corner of the world. It’s really a joy to share the love of Jesus with music, and it’s great to see our students using their gifts to impact the world for Christ. For them, it’s not just a performance, but a ministry opportunity. 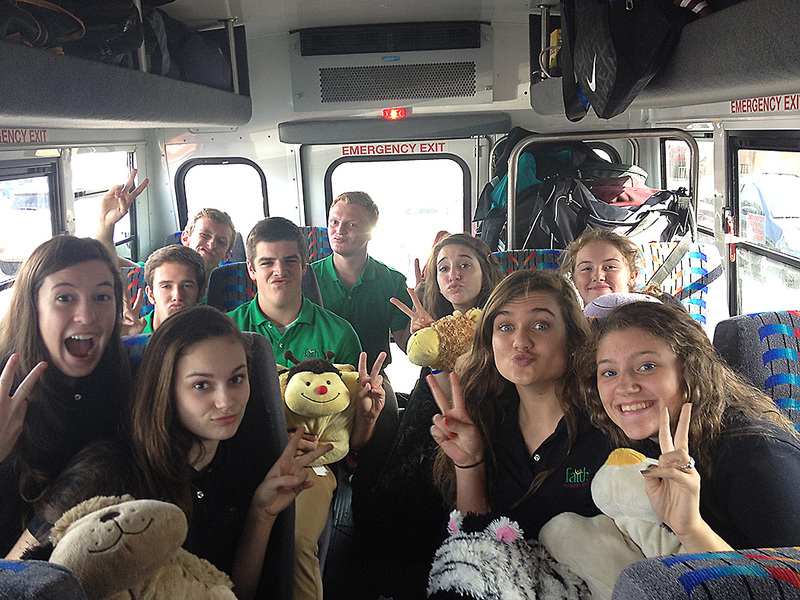 Traveling with 9 teenagers as experienced by Mr. Grass…..